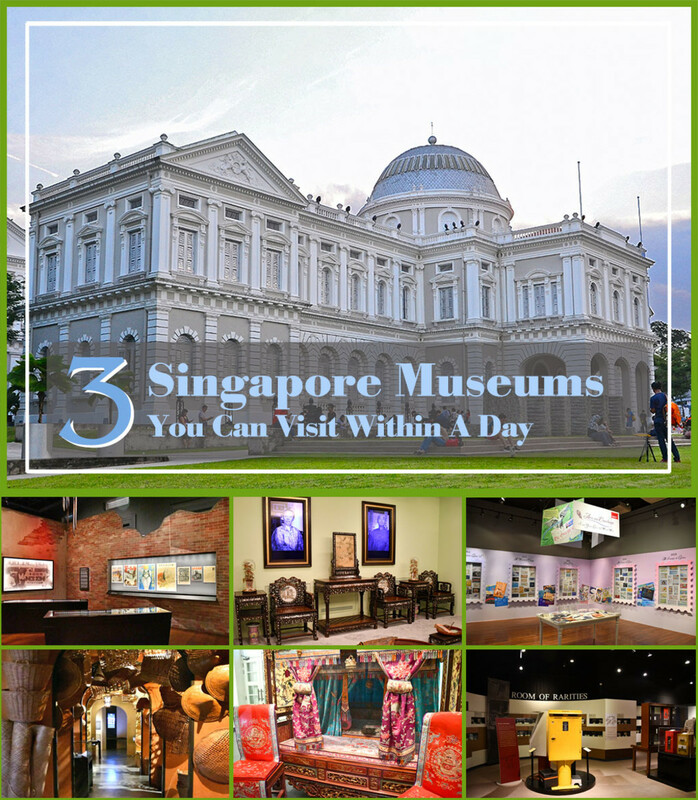 Don't miss these great Singapore museums when visiting the city state! Singapore doesn’t have a renowned museum quarter. That said, this island nation is far from bereft of well-conceptualised and intriguing museums. 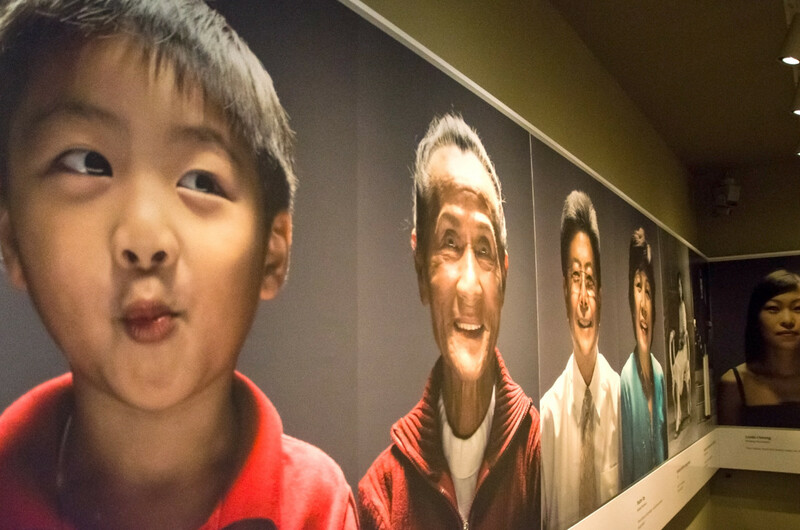 Here are three Singapore museums that can be easily enjoyed in one day. All three are within walking distance of each other and conveniently located in the heart of Singapore's civil district. The National Museum of Singapore is the island nation's oldest museum. The oldest and most famous Singapore museum, the National Museum of Singapore was originally the Raffles Library and Museum. Established in 1849, a mere 30 years after the founding of modern Singapore by British colonists, the museum shifted several times before reaching its current stately home at Stamford Road in 1882. 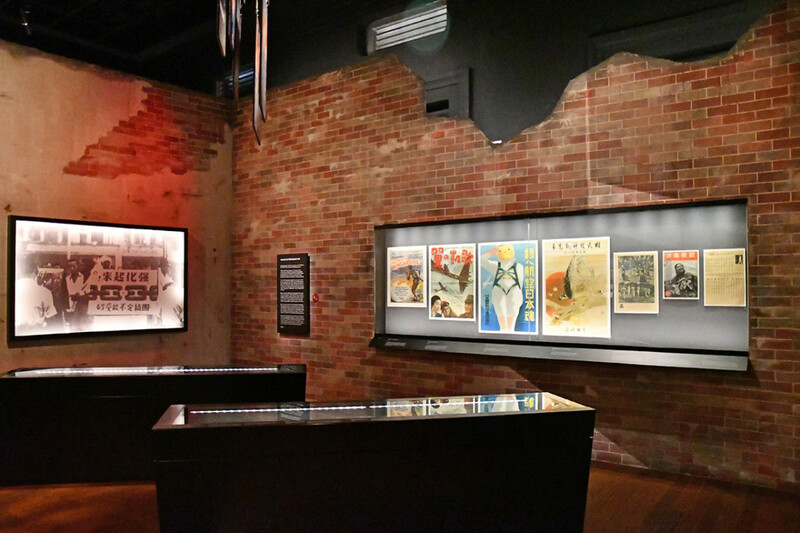 During the Japanese occupation, the museum was largely undamaged, thanks to the fame of its collections and the integrity of its research. 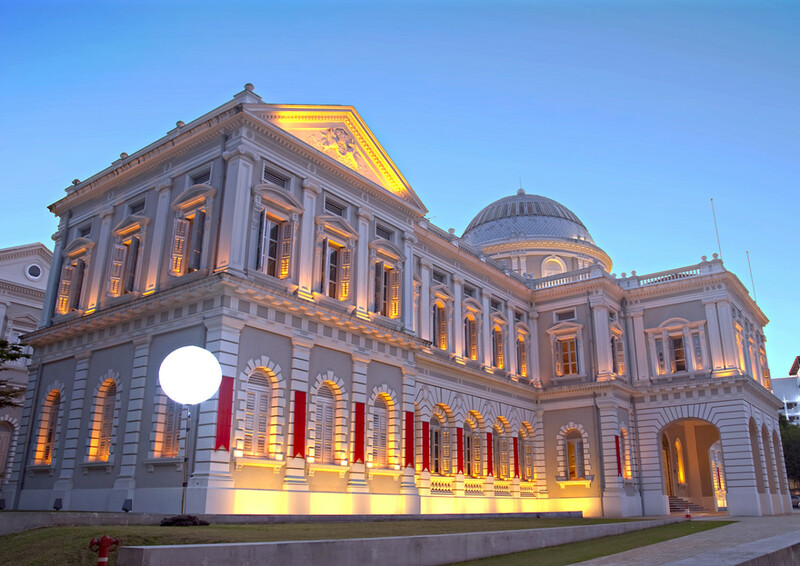 Today, the Neo-Palladian, Renaissance façade of the museum is one of the most recognisable landmarks in Singapore. 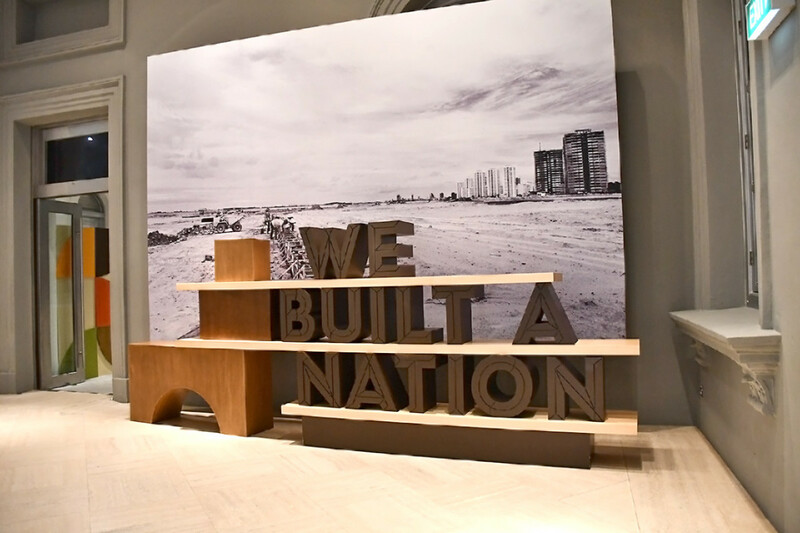 Permanent exhibits focus on telling the story of the city state’s transformation from a fishing village to a British crown colony, and eventually to an independent country. 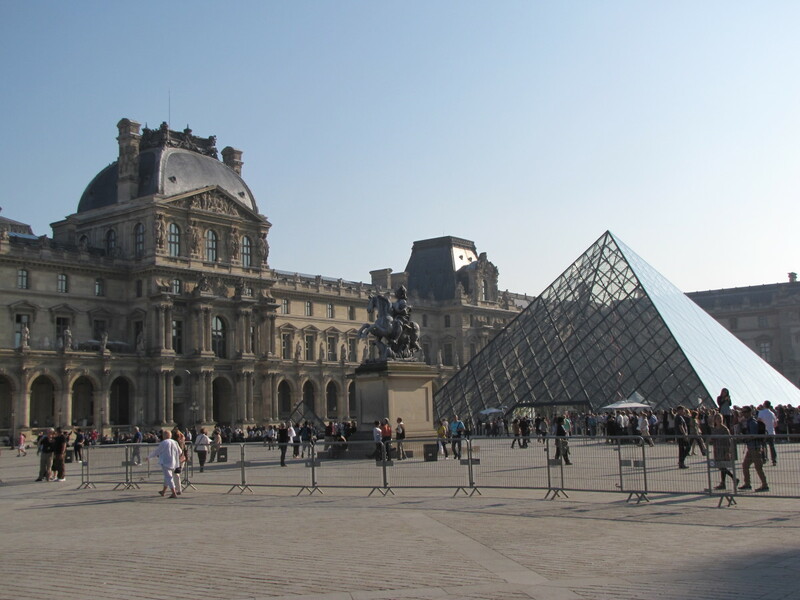 Regularly, there are also temporary exhibitions. 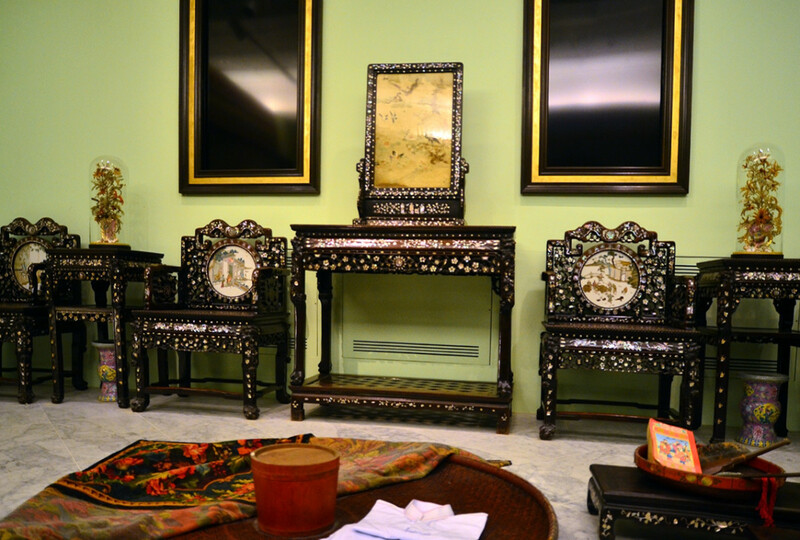 These typically showcase prized collections from other world-renowned museums. 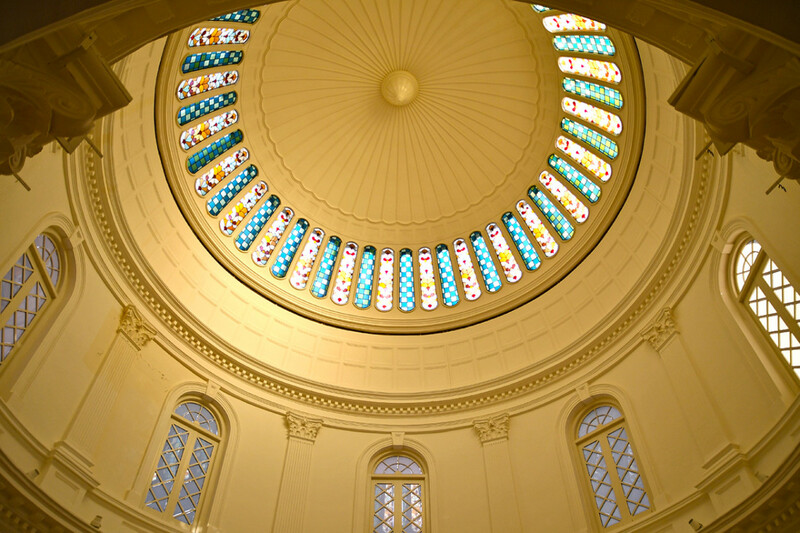 Interior of the original rotunda dome. Entrance of the Singapore History Gallery, one of the permanent exhibits. 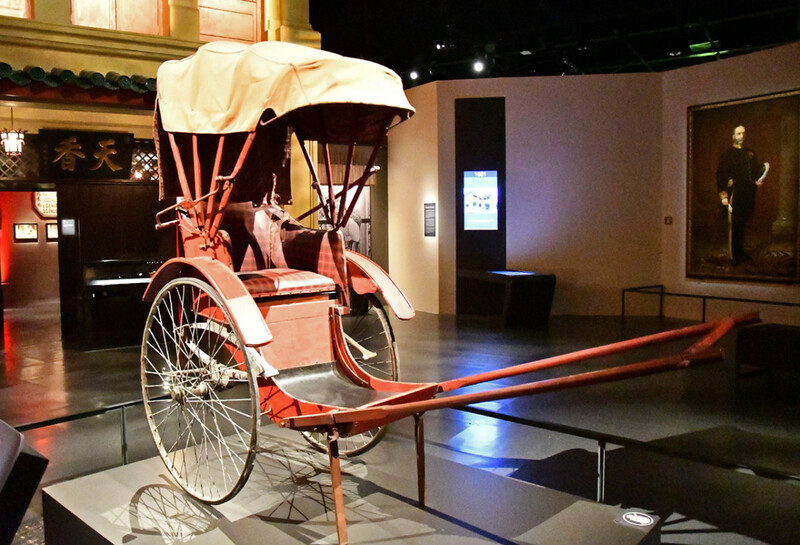 Rickshaws were once common all over Singapore. Reconstruction of a shophouse alley. 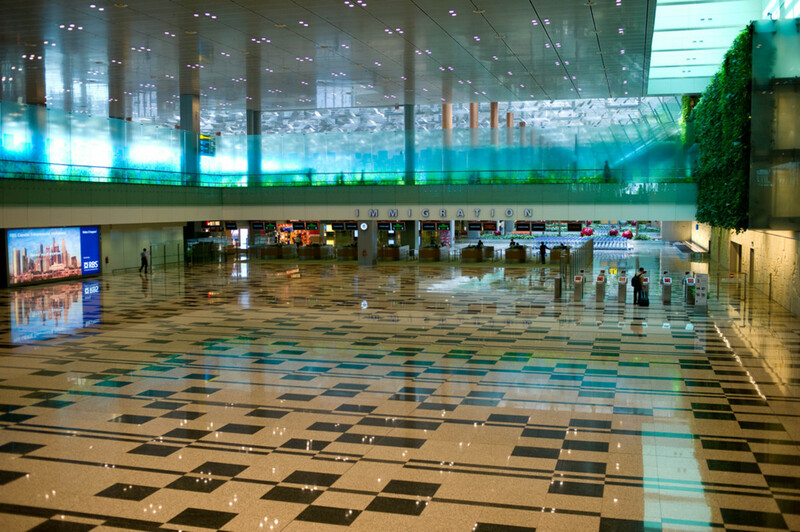 Known locally in Singapore as a "five-foot-way." 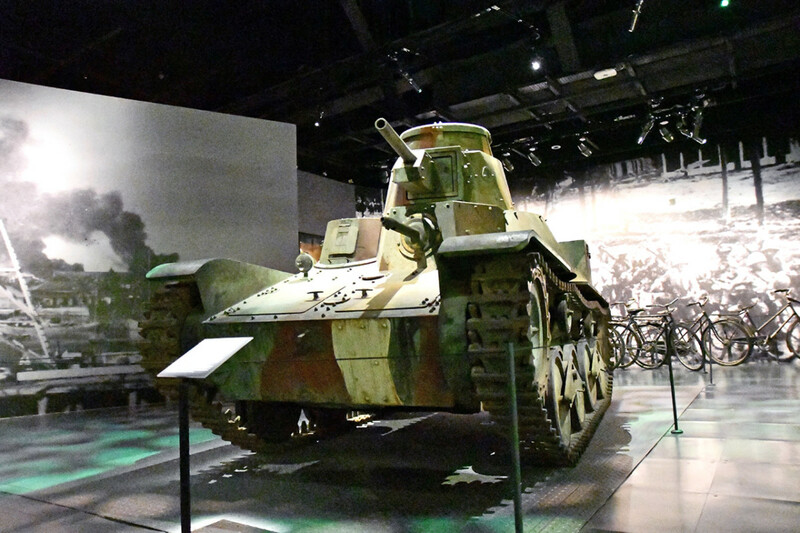 Less than a century ago, these tanks stormed down the Malaya Peninsula to conquer British Singapore. 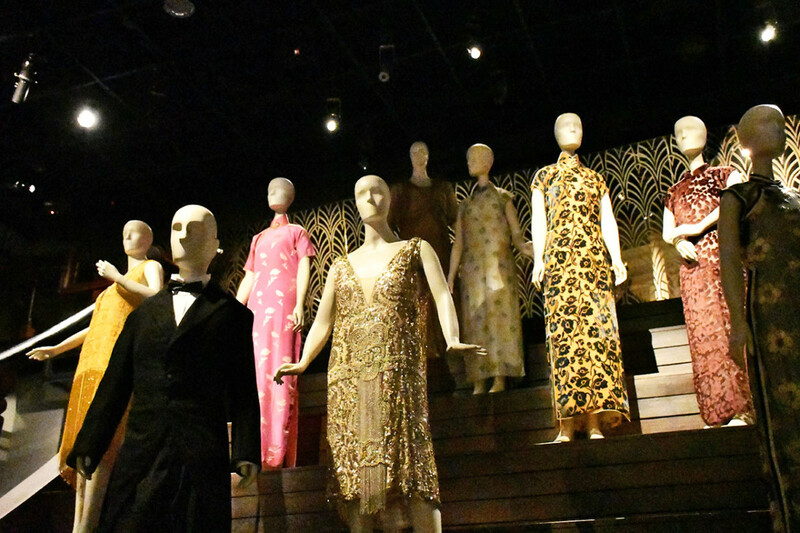 High society fashion during the jazzy years of the twenties and thirties. One of the newer galleries depicting entertainment and sports in Singapore during the 50s and 60s. 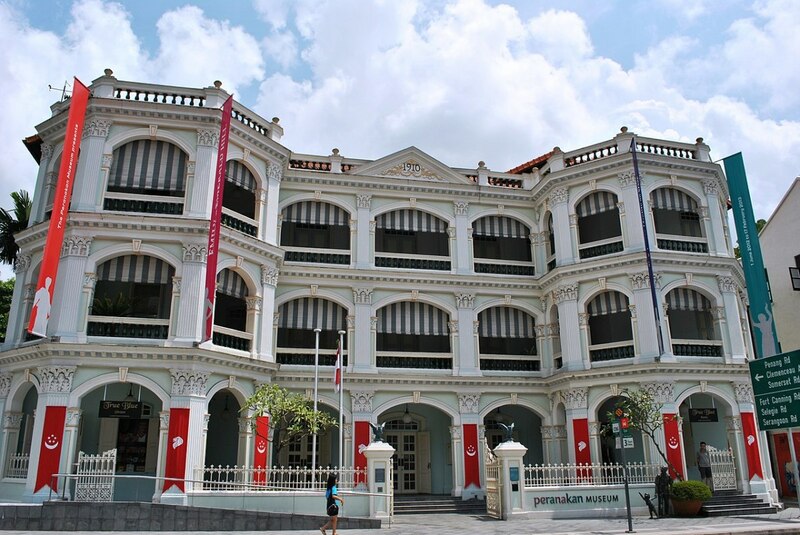 For several years, the museum was renamed as the Singapore History Museum. 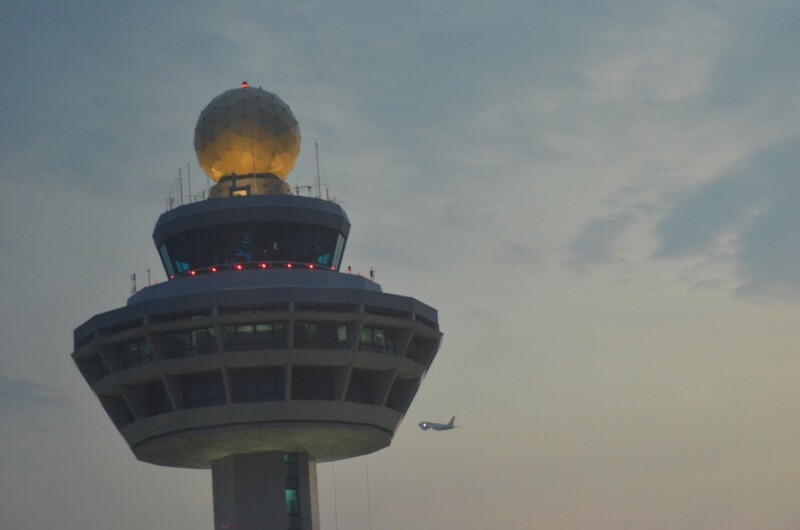 The emphasis remains on Singapore's development as a nation. Last but not least, a glass rotunda was added to the museum during restoration works in the early 2000s. Intended as a modern interpretation of the original rotunda, the structure currently houses two immersive art installations titled Story of the Forest and Singapore, Very Old Tree. 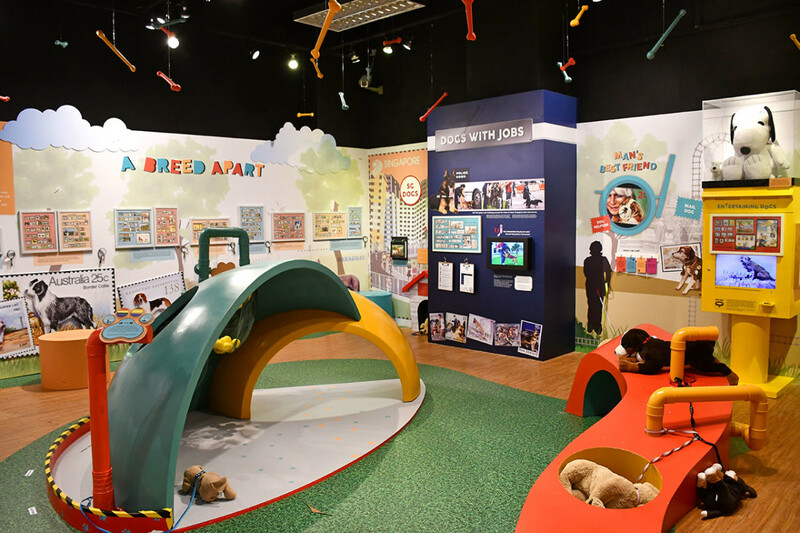 The National Museum of Singapore is conveniently located within walking distance from three MRT (subway) stations, the nearest of which being Bras Basah Station. 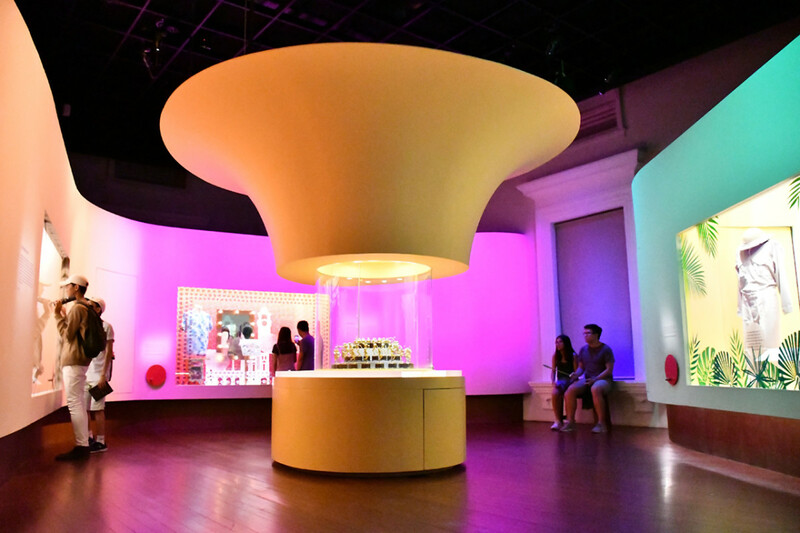 Every August, the museum is also the heart of the Singapore Night Festival. 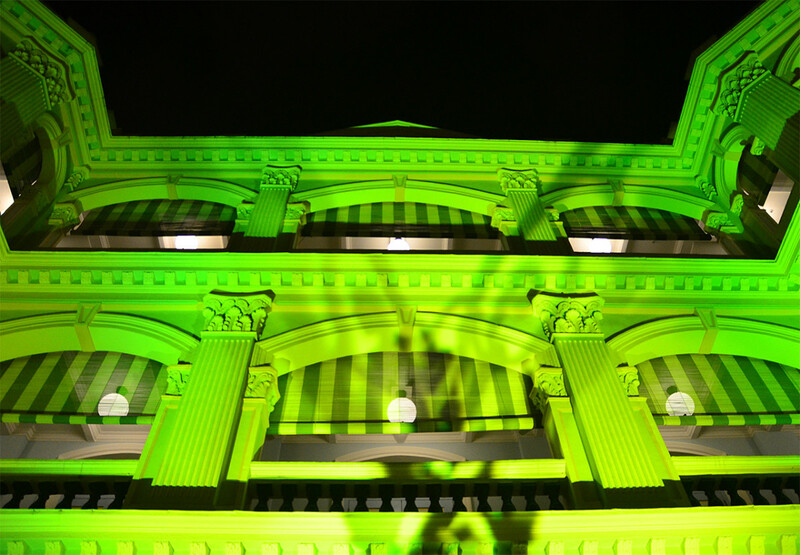 During this, spectacular light and laser shows are conducted at the museum’s façade. 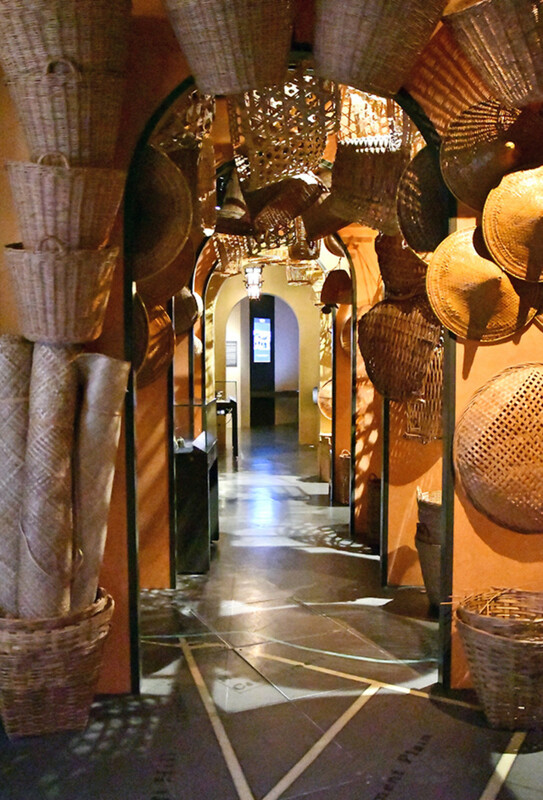 Housed in the historical Old Tao Nan School building, and a mere five minutes’ walk from the National Museum of Singapore, the Peranakan Museum is an intimate showcase of Straits Settlement culture, alternative known in Southeast Asia as Baba and Nyonya culture. 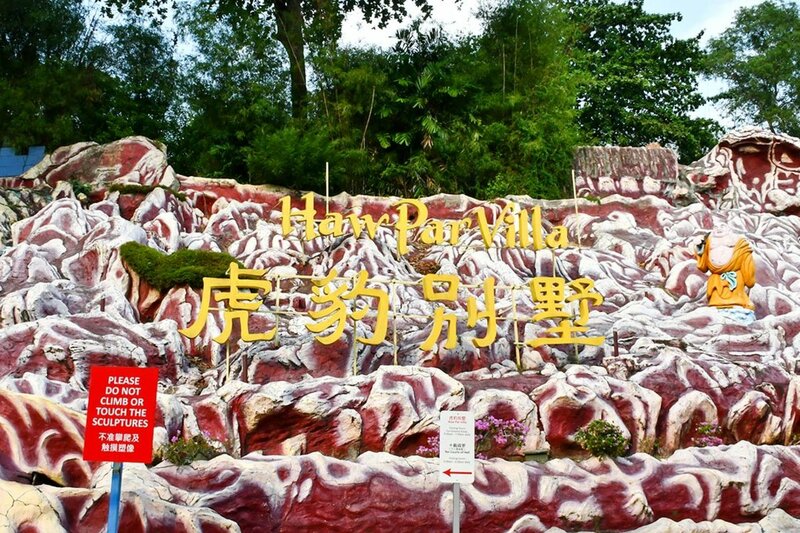 During colonial days, Han Chinese migrants from China established large families in South-east Asia, and over time, incorporated many aspects of Malay (Nusantara) culture into their lifestyles. 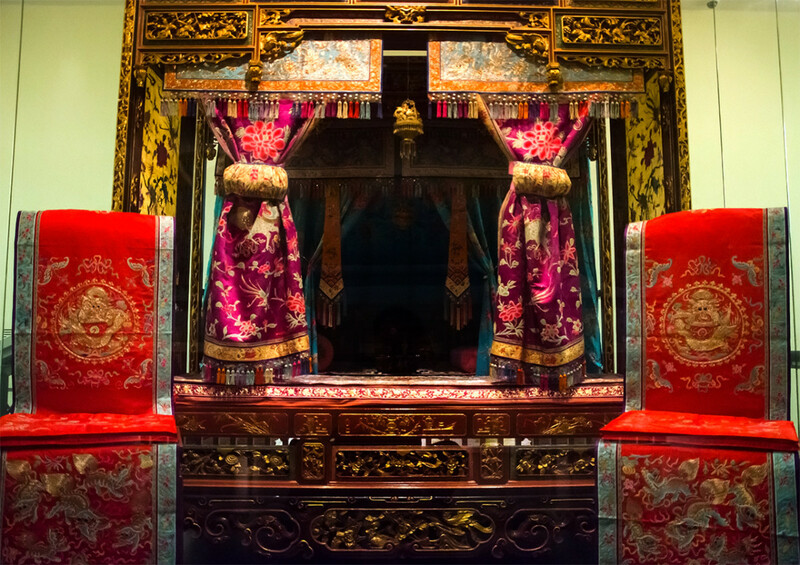 The Peranakan Museum introduces this fascinating hybrid culture through compact and atmospheric displays. Of note, the word Peranakan itself is yet another term referring to this “Straits Settlement” culture. 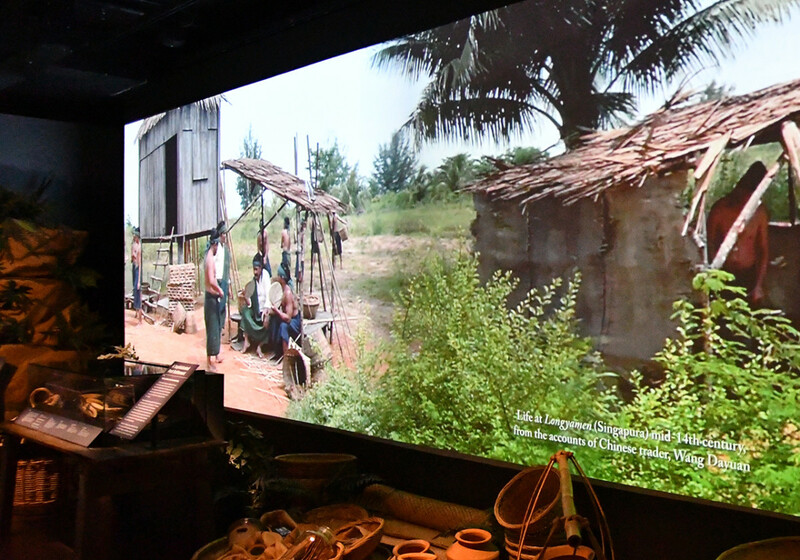 One of the smaller Singapore museums, all exhibits here could easily be enjoyed within an hour. 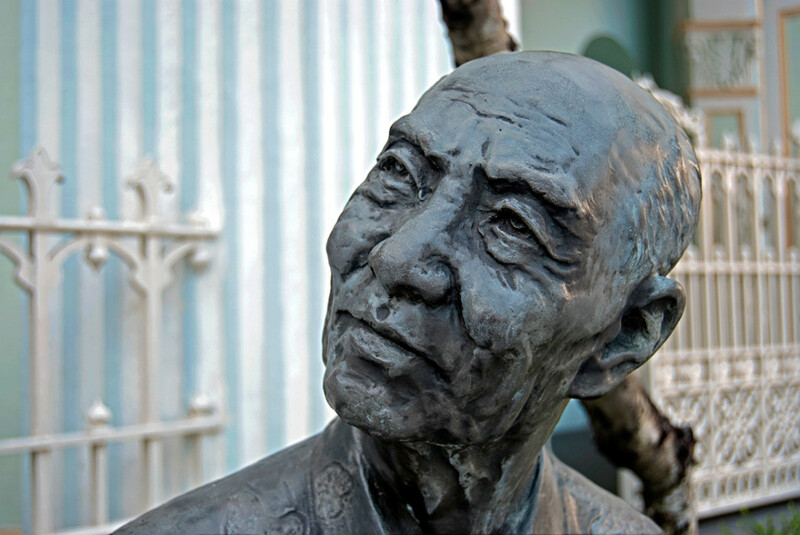 Sculpture at the entrance of the Peranakan Museum. A typical Straits Settlement Chinese home. Wedding Chamber. 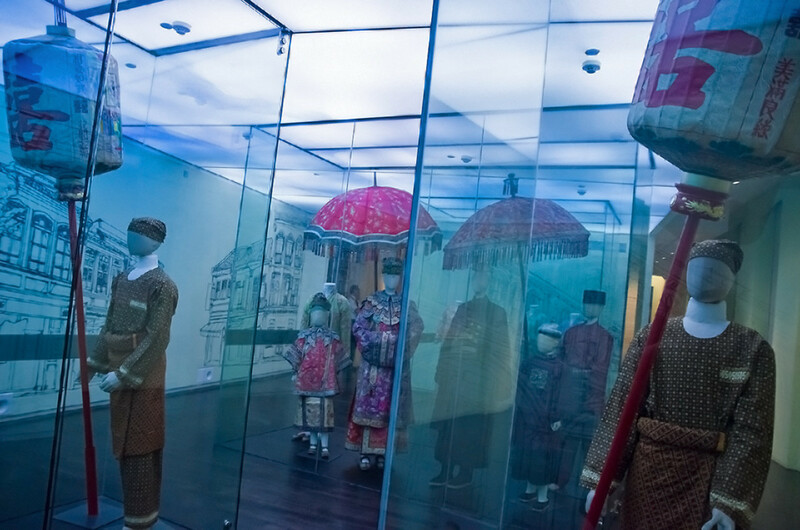 As is obvious, despite adopting various aspects of Southeast Asian culture, the Peranakans remained distinctively Chinese. 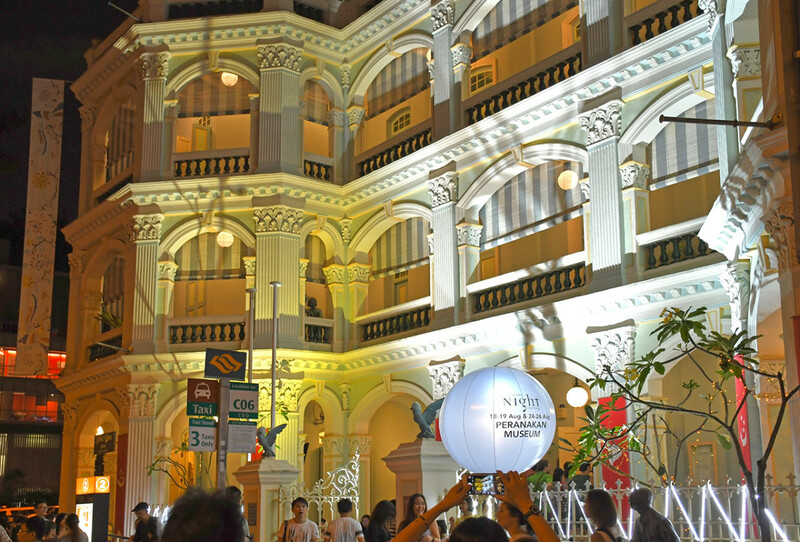 Like the National Museum of Singapore, the Peranakan Museum is also a key venue during the annual Singapore Night Festival light-up. Another view of the illuminated facade during the Singapore Night Festival. 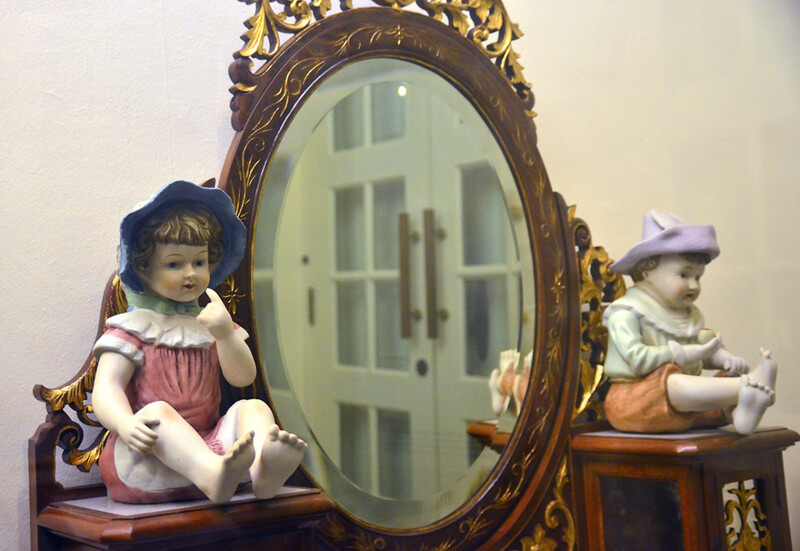 The Peranakan Museum is located at Armenian Street, which branches off from Stamford Road where the National Museum of Singapore is. 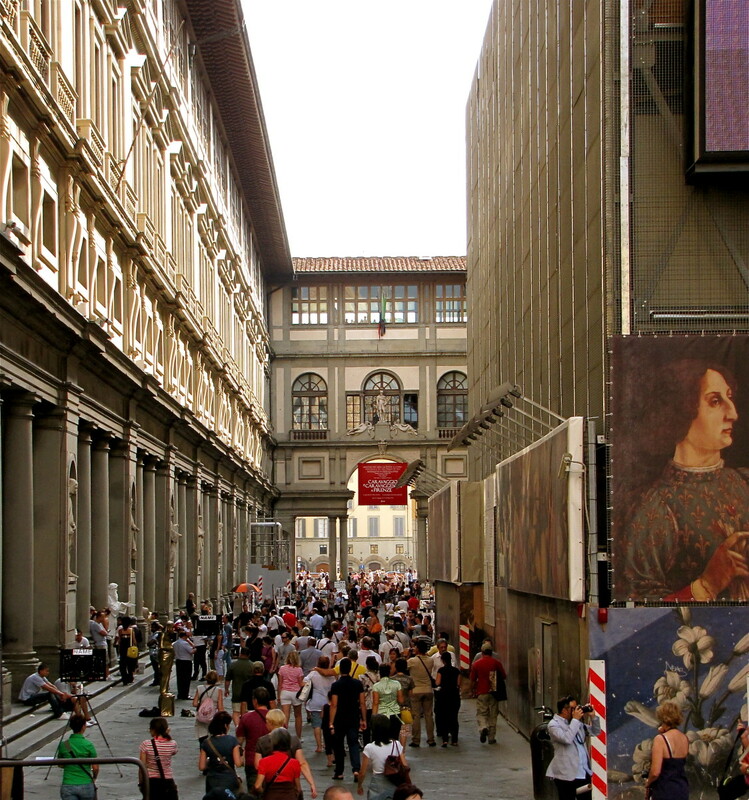 The short, L-shaped route between the two museums is an easy five minutes’ walk. 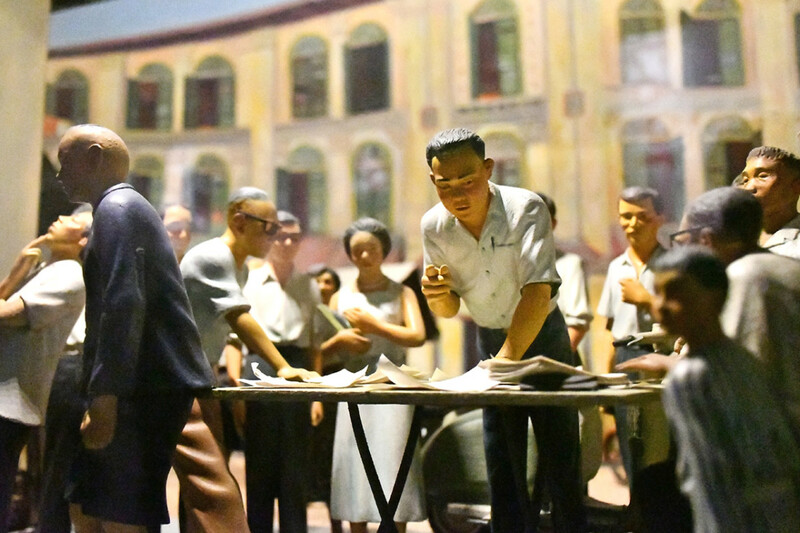 The smallest Singapore museum on this list, the Singapore Philatelic Museum is located at Coleman Street, a mere minute’s walk from the Peranakan Museum. 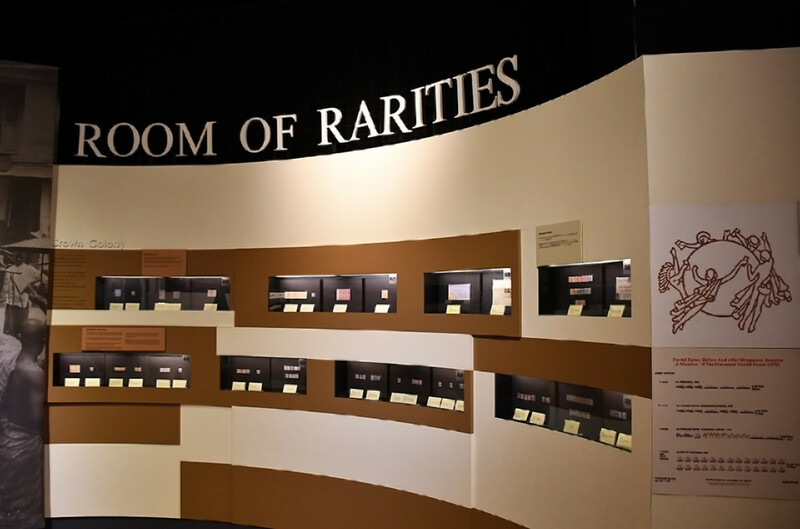 Opened in 1995 to showcase Singaporean philately and to promote appreciation of Singaporean history, the museum’s collections include stamps and philatelic materials of Singapore from colonial days till today. 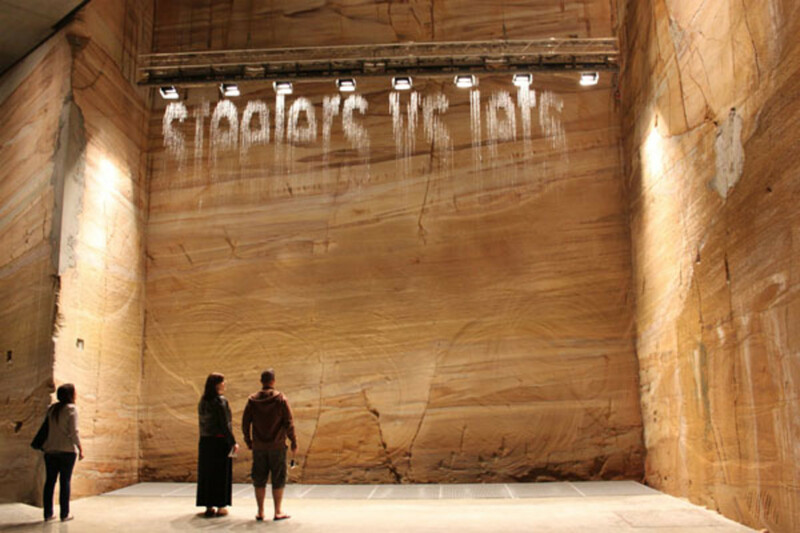 Its compact size and colourful temporary exhibitions make it a favourite destination for school excursions too. 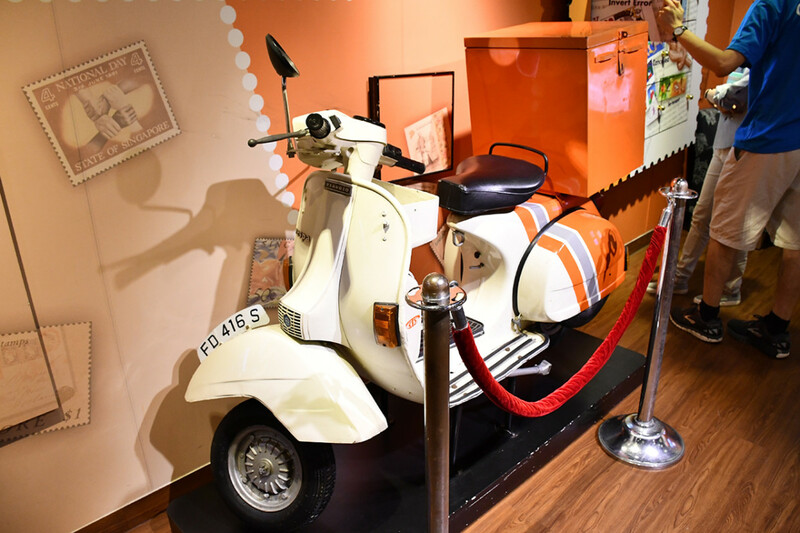 A Singaporean postal delivery scooter from the 80s. 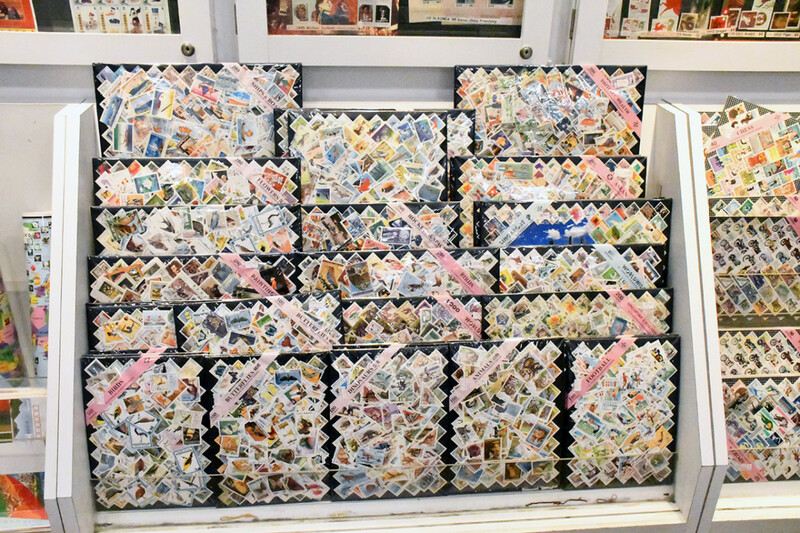 The prized collection of the Singapore Philatelic Museum. 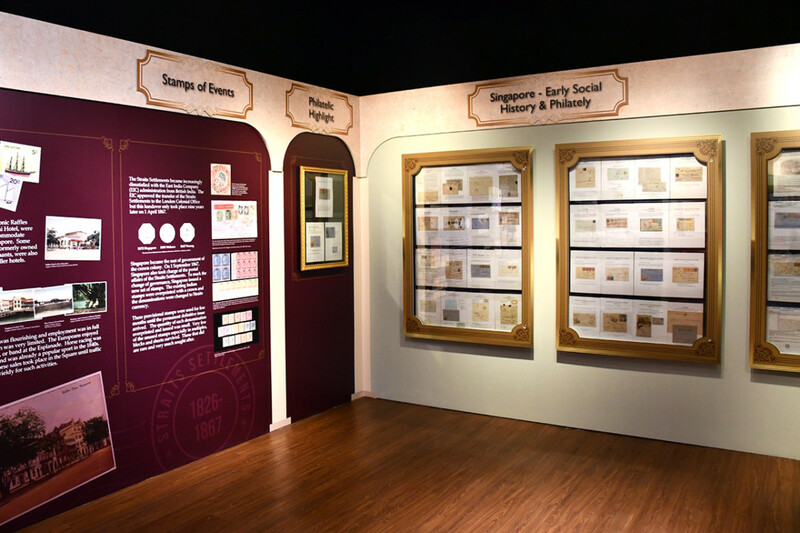 Philately and the development of Singapore from colony to nation.. It's not all about stamps. 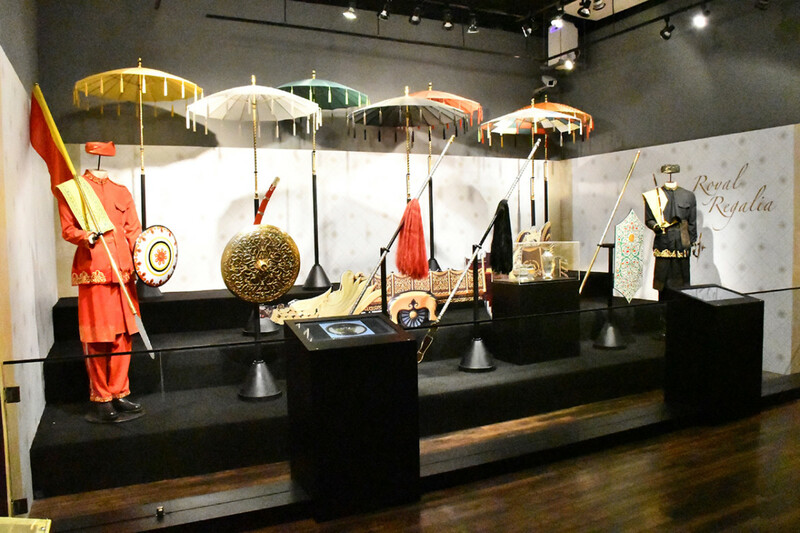 The museum regularly hosts exhibitions on Southeast Asian cultures. 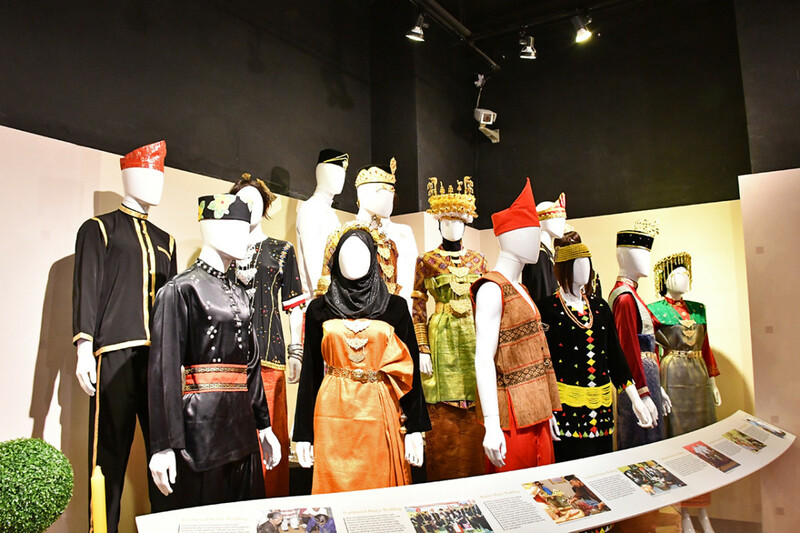 Exhibition celebrating Singapore's ties with the Brunei Sultanate. 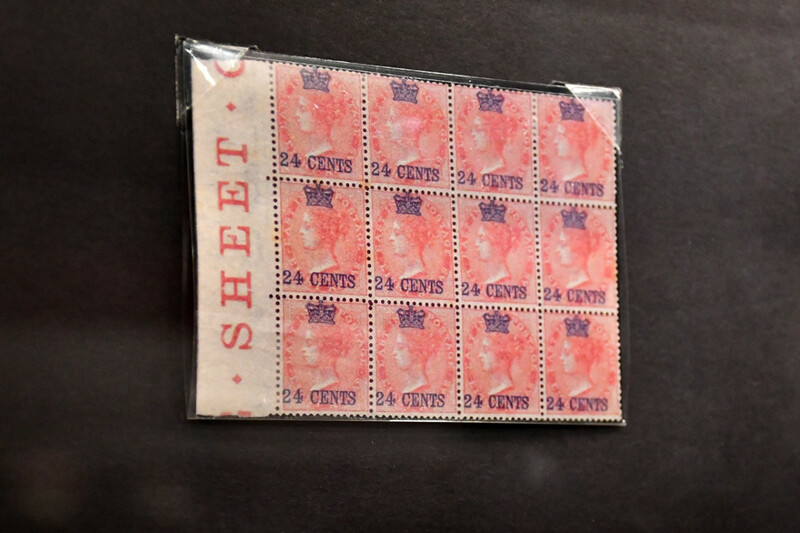 The rare collections includes vintage stamps dating all the way back to the founding of modern Singapore. 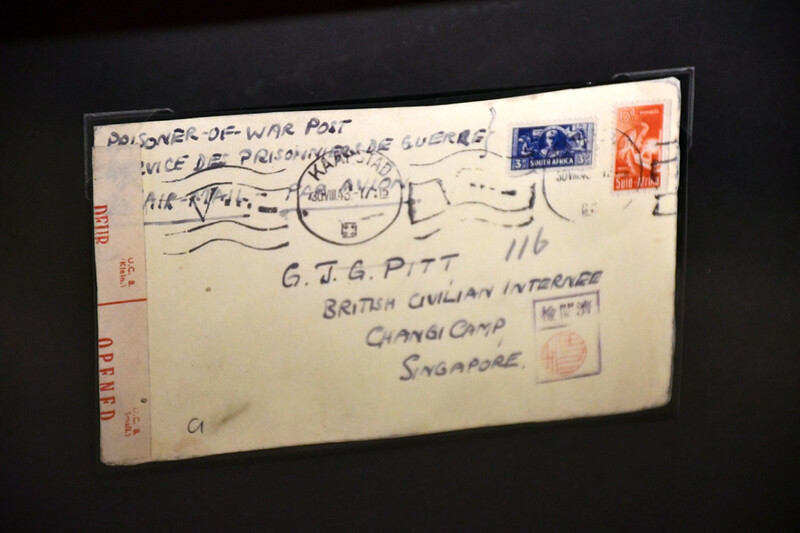 Prisoner of War post from WWII days. British Malayan stamps from 1955. 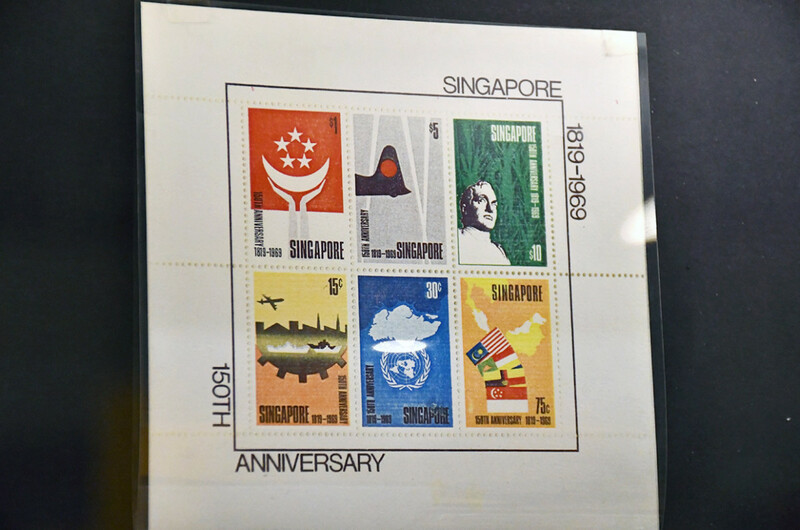 Commemorative issue celebrating the 150th anniversary of the founding of modern Singapore. No surprises over what's sold at the souvenir shop. 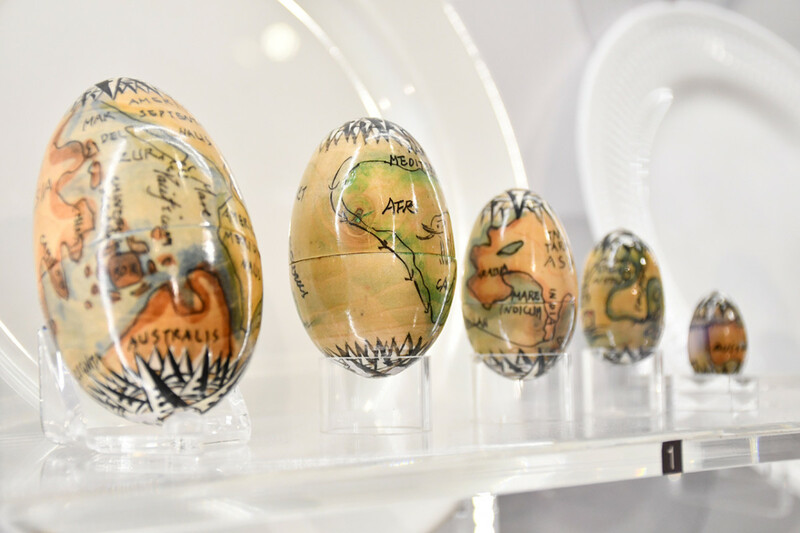 Precious eggs on display during the Precious Eggs: Of Art, Beauty and Culture temporary exhibition. 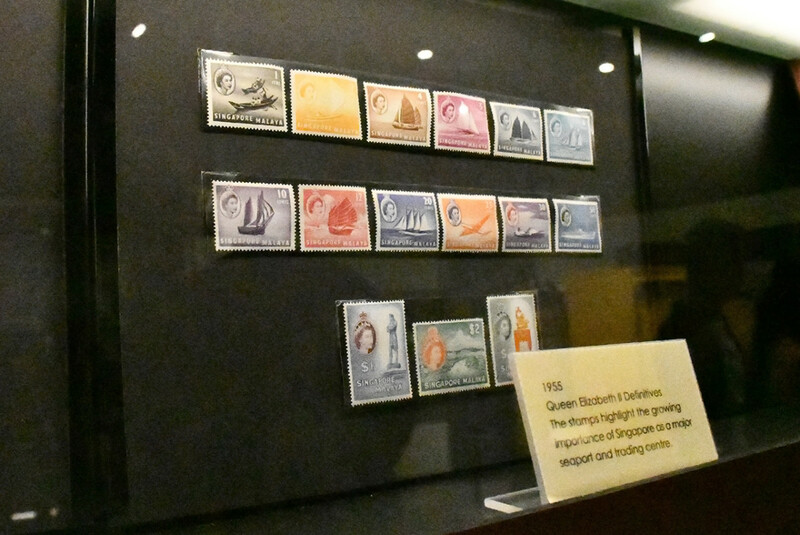 Many temporary exhibitions of the Singapore Philatelic Museum are targeted at kids. Here's one about dogs and stamps. 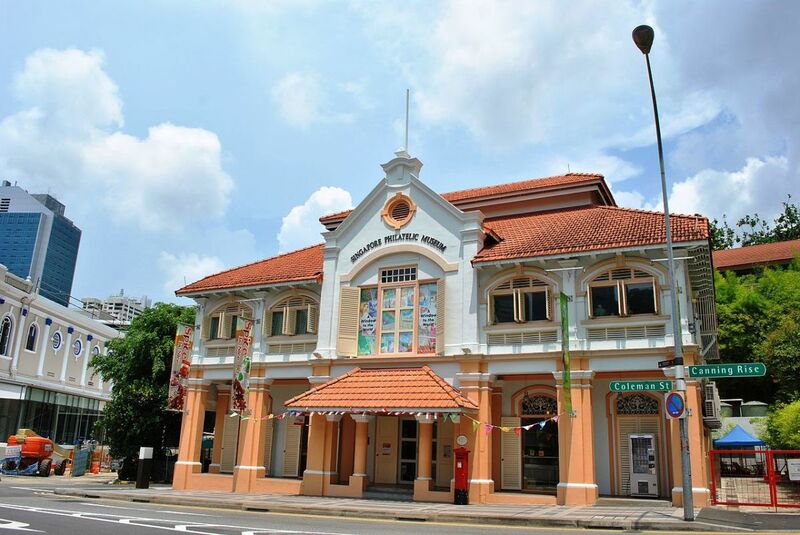 The Singapore Philatelic Museum is at 23-B Coleman Street, a stone's throw away from the Peranakan Museum. I loved visiting Singapore in November 2017. Sadly, two weeks was not long enough to see everything that I would have liked to see (or to get acclimatised). I am sorry to have missed these museums, so thanks for the insight. Hey, you definitely must! Let me know if you need any other info to prepare for your trip! I'm planning to go to Singapore next year. 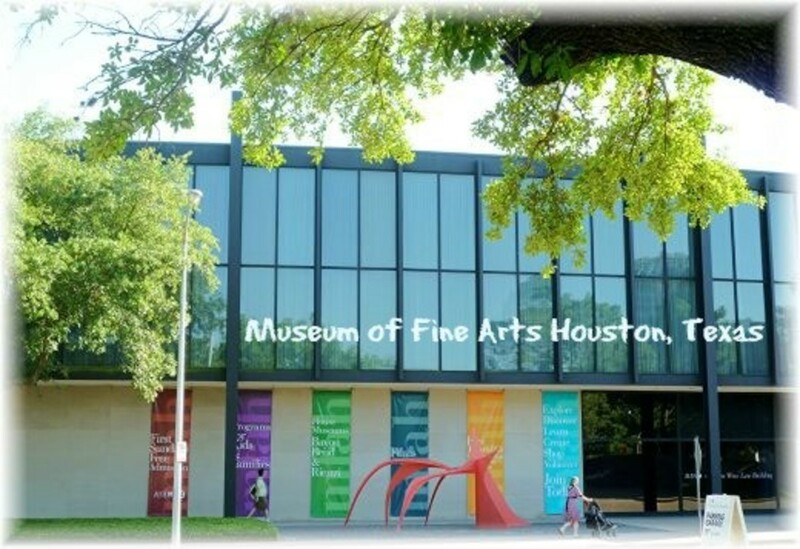 Hope I can visit these interesting museums. Thank you for the interesting and enjoyable tour of the museums. The external appearance of the buildings is attractive.